The stuff of your potential nightmares -- Nintenhorse and Nintendolphin -- were almost 3DS games. This massive bombshell was dropped by Nintendo's president Satoru Iwata during the Nintendo World Event in Japan last week. Unfortunately, both the dolphin and horse (targeted at Europeans, apparently) ideas were scrapped when Shigeru Miyamoto got a cat. And what Shiggy wants, Shiggy gets -- Nintendogs & Cats is set to launch alongside the system this year. The game will bring the cuddly little purr pals to the handheld, along with camera support that will have the animals recognizing its owners by sight. Creepy. Potential nightmares?! I've been dreaming of having something official from Nintendo like this for the DS or 3DS! Time for me to write a letter to Miyamoto to say that I would buy a Nintendolphins. Oh hey, Paleo would've been psyched for a dolphin game. Stop the presses. Dead pan. Well, Endless Ocean is sorrrrt of like that. Except for the horses. Didn't know Shiggy got a cat. I guess cats are alright. 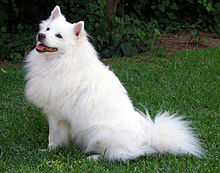 You should be able to raise an American Eskimo dog. What's with the guy that wrote this article? A horse and dolphin sim isn't the stuff of nightmares, and facial recognition is just kinda cool, not creepy. Yeah, I didn't get that part either. It's only the stuff of nightmares when it ends with a Z.